6-ingredient orange cheesecake bars are delicious and sunny and just what you need right now if you are dreaming of warm weather! It’s officially spring (though I don’t know how many times I have muttered the words “I hate the cold!” this week, with temps dropping into the thirties). When the daylight hours stretch longer, I start to crave sunnier flavors like these 6-ingredient orange cheesecake bars. I made them with beautiful Red Cara navel oranges that I picked up at the store and they make me dream about the day (that can’t possibly be too far away!) when I finally get to wear my shorts again. 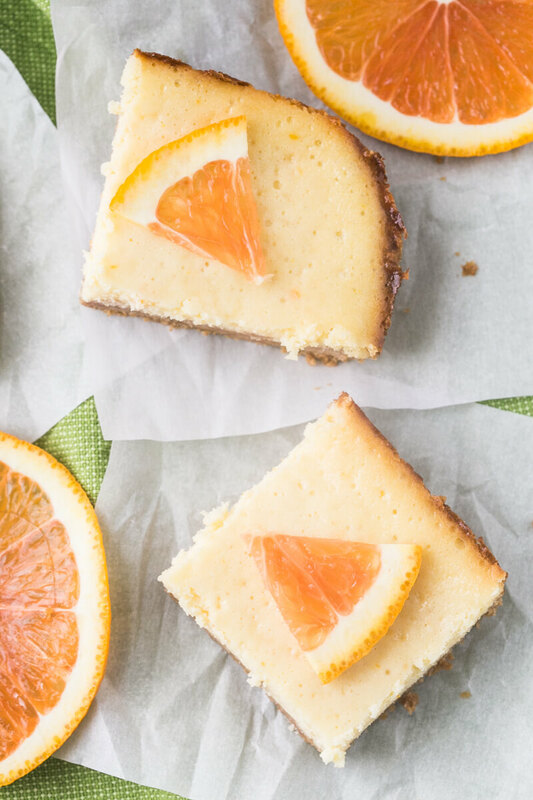 Find the recipe for 6-ingredient orange cheesecake bars over at SoFab Food! This past weekend I finally had the chance to judge one of the cooking competitions at The Chattanooga Market – the 2017 Five Star Food Fight! I’ve been waiting years for someone to ask me to do something like this and finally got my chance when Melissa, one of the owners of Chattanooga Magazine who also runs the Market called me last week to see if I was game to judge this event that concludes Restaurant Week! I felt like a bit of an imposter when I got up on stage to judge with the likes of my buddy Charlie Loomis, the executive chef at Feed Co. (one of my favorite restaurants) and Jim Gallivan, a chef and the program director at Culinard (the culinary program at Virginia College), along with Mike McCloud, the president and CEO of the World Food Championships and Dale Faunce from Springer Mountain Farms. Um, you guys, what is my life now????? Dyan Damron, a health coach from the Nashville area, emceed the event. I’m hoping that if I get a few of these things under my belt I’ll feel a little less nervous. I was kind of freaking a little bit when they told me I was going to have to speak into the microphone. I’m not afraid of public speaking – I do it all the time – but I was just a little unprepared. If you saw me I hope I didn’t look too redonkulous. Anyway, let’s talk about the food. Springer Mountain Farms sponsored the Food Fight so the chefs were given chicken thighs, breasts, and livers to work with, along with $50 to purchase ingredients from the market. That meant that the food that we were served was ultra-fresh and local. It doesn’t get much better than that, people. I’m going to be honest, I was pushed a little bit as I had not eaten chicken livers since I was a kid and my grandmother used to fry them up. Back then I really didn’t realize what they were. But, you know, I’m a big girl so I ate my chicken livers like a big girl, and you know what? They were pretty good. Chef Tanner Marino from Broad Street Grille was up first with this plate of popcorn chicken thighs and livers, chicken breast breaded with kettle corn, succotash, slaw, and a cobbler with goat cheese and frozen custard on top. Next up was was Chef Cliff Phillips from Feed Co. He served chicken in a parchment packet with julienned vegetables, red potatoes carved into a mushroom shape, and a cheese tuile (crisp), along with a glass of Chardonnay. Chef Ben Park from Easy Bistro was up next with an amuse-bouche of a chicken liver and goat cheese custard topped with a salad made of pea shoots (I think?) and grapes, then a colorful bowl of chicken, tomatoes, corn, blackberries, and lettuce. Defending champ Chef Patrick Halloran of Hummingbird Pastaria served up a lasagna with homemade whole wheat pasta sheets, béchamel, a chicken thigh/liver sausage, and goat cheese, with a summer salad on the side. Finally, Chef Philippe Gehin of Mountain Cove Grille served up a chicken breast stuffed with a sweet and spicy sausage, with confit of chicken livers and thighs. In the end, I ended up with two ties on my ballot (I’ll never tell!!!!) and had to choose a favorite to circle. Chef Ben Parks from Easy Bistro took the trophy and he seemed pretty excited about it! Sugar’s Ribs is a popular BBQ joint near I-75 on Chattanooga’s Missionary Ridge, and it’s easy to see why they’re still around. So the week before last I totally got taken down with some sickness. Cold, flu, I don’t know…all i know is that I was pretty miserable for an entire week. It did not, however, affect my appetite. Saturday I was feeling mostly better (except I was so tired) and I was craving barbecue. Philip and I headed to the Missionary Ridge location of Sugar’s Ribs. I previously wrote about their downtown location, which has since closed, but had never been to this location. Sugar’s Ribs is a spot where you walk up to order, they give you a number, and your food is delivered to your table. The atmosphere is very casual and laid-back with inside seating and patio seating…it wasn’t too chilly but since I still didn’t feel great we decided to sit inside (near a window, of course). Each table has a selection of sauces and our server, Lisa, brought us a couple more. It didn’t take too long (maybe about ten minutes) for our food to be delivered to our table. I knew that I wanted pulled pork, but I couldn’t decide between the pulled pork sandwich and the pulled pork tacos. I asked the cashier for her recommendation and she told me that the tacos were her favorite, so that’s what I went for, with crispy potatoes on the side ($9.95 + $.75 for the potatoes, which are considered a special side). The tacos were served on flour tortillas with shredded cabbage, radishes, a little bit of crispy okra, crumbled queso fresco, lime crema, grilled sweet onions, roasted salsa, and cilantro. The smoky pork was amazing and the flavor combinations were perfect. The crispy potatoes are baked first, then chopped and fried until very crispy, sprinkled with a little bit of cheese. They were so crispy and well-seasoned, very delicious. Philip decided to go for the smoked sausage plate with okra fries ($9.75 + $.75 for a special side). The plate also came with a cornbread muffin. The sausage is house-made and freshly smoked. It was a little crisp on the outside and it was very tasty, though it was not spiced like a traditional sausage (which I liked, because I don’t love sausage). The okra fries were very thinly sliced pieces of okra fried until crispy, like chips. They were crunchy and tasty (they also serve smoked okra, which is fantastic). The cornbread muffin was okay, pretty average. By the way, all of the sauces were tasty. Lisa almost talked us into banana pudding, which is made from scratch, but I had just bought ice cream and decided that I better skip the banana pudding. Lisa was a fantastic server, keeping our drinks topped off and talking to us about the dishes and the restaurant. She told us that the owner is a fantastic guy and she loves working for him. He also owns the Boat House, Canyon Grille (which we’ll try one of these days), and a new restaurant being built on Hixson Pike. We loved the food and the service. Our only complaint was that because of the pay at the register set-up the cashier told us that if we wanted to leave a tip we would need to leave it on the table. These days we usually have a little cash, but I know a lot of people don’t carry cash and I would have hated if we hadn’t had money to leave a tip for Lisa! If you’re looking for great BBQ in Chattanooga, give Sugar’s Ribs a try! Sugar’s Ribs is located at 2450 15th Avenue, Chattanooga, Tennessee 37494. They are open Sunday – Thursday, 11 a.m. to 9 p.m. and Friday – Saturday 11 a.m. to 10 p.m. You can call them at 423-826-1199. For more information, check out the Sugar’s Ribs website or find Sugar’s Ribs on Facebook. 14 Amazing Dishes to Serve Your Valentine! If you want to stay in this year, here are 14 amazing dishes to serve your Valentine! I’ve never made it much of a secret that we don’t bother with Valentine’s Day around here. We started dating the week before Valentine’s Day and so it just kind of got eclipsed by our “dating anniversary” and then we just decided we really didn’t care all that much. Still, there’s something about all that rich food – steak, seafood, cheese, and chocolate – that makes my heart race a little bit. Not to mention that the color palette encompasses my favorites (pink and red). 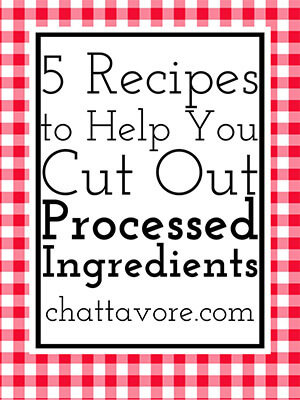 So, even though I won’t be celebrating, maybe some of these recipes will help you celebrate!